Immigrants who come to Canada from sunnier parts of the world are at risk of health problems caused by a lack of vitamin D unless they take supplements, doctors and nutritionists warn. A researcher measures skin colour in Reinhold Vieth's University of Toronto lab. People with darker skin require longer sun exposure to make vitamin D. ((CBC))Immigrants who come to Canada from sunnier parts of the world are at risk of health problems caused by a lack of vitamin D unless they take supplements, doctors and nutritionists warn. "This is a really great example of how … immigration to Canada could be dangerous or bad for your health," said Dr. Kevin Pottie, who teaches family medicine at the University of Ottawa. Pottie said when he tests his immigrant and refugee patients, almost all of them show inadequate levels of vitamin D, especially in winter. Vitamin D is needed to maintain healthy bones. A deficiency may lead to osteoporosis in adults, making them susceptible to breaking bones. Children with a deficiency can develop rickets, a disease in which bones grow soft, leading to skeletal deformities. Some studies also suggest that a lack of vitamin D could be linked to diabetes, multiple sclerosis, cancer and some forms of mental illness. People can get some of their vitamin D by consuming food such as milk and fatty fish. But humans' own bodies can produce far larger amounts if their skin is exposed to the ultraviolet B rays of the sun, said Reinhold Vieth, a University of Toronto researcher who studies vitamin D. The ability to produce vitamin D varies with the colour of a person's skin. Ahmed Mohamoud, who is from Somalia and now lives in Ottawa, has been diagnosed with vitamin D deficiency. ((CBC))"A white person like me, if I lie on my lawn chair for 10 minutes on [my] front, 10 minutes on the back, I'm going to be putting into my body 100 glasses of milk worth of vitamin D," Vieth said. People whose ancestors come from sunny places such as Pakistan or Somalia often have darker skin to protect them from sunburn and other sun damage. "But as you move north, that skin colour makes it harder and harder for you to make vitamin D," Vieth said. 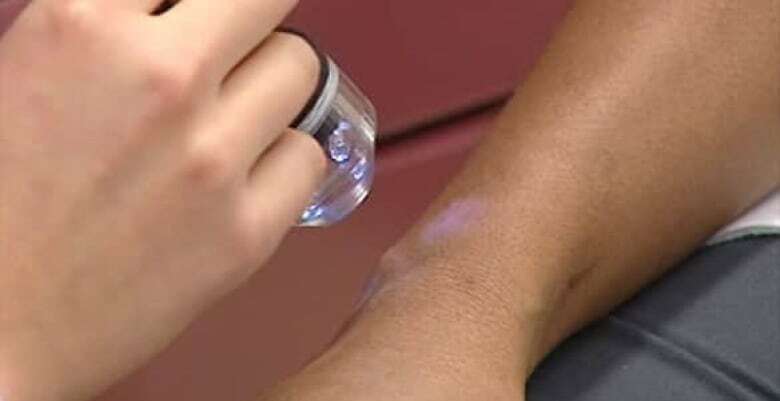 "Basically, what we're doing is transplanting people from an area for which their skin is optimized in terms of its colour to an area where their skin is often too dark to be healthy." Skin colour isn't the only factor that puts immigrants at risk; diet and culture also play a role. Vieth co-authored a study of healthy University of Toronto students that found those of South Asian descent were almost six times more likely to have a vitamin D deficiency than those of European descent. 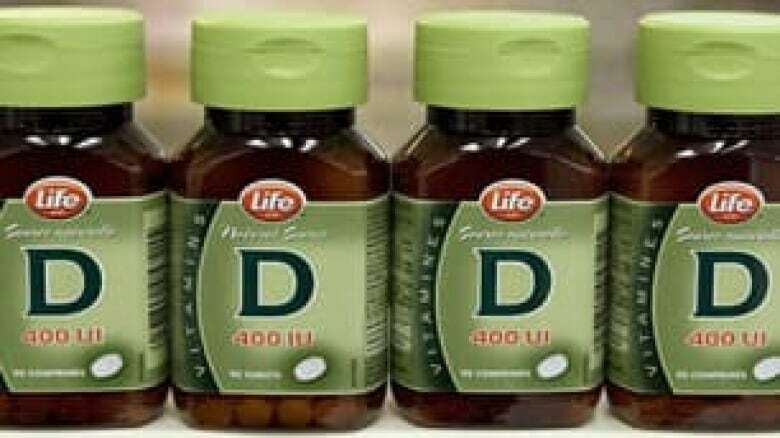 Students of European descent got an average of 231 international units (IU) of vitamin D daily from food and supplements — 73 per cent more than the East Asian students and 40 per cent more than the South Asian students, said the study published in 2008 in the journal BioMed Central Public Health. A Norwegian study published in 2009 found that 57 per cent of 119 immigrant mothers from Pakistan, Somalia, and Turkey had a vitamin D deficiency, as did nearly half their babies. Reinhold Vieth said the human body can make vitamin D if the sun is high enough in the sky: 'If your shadow is longer than your height, it's not even worth being outside naked on a sunny day.' ((CBC))One reason is that immigrants from those countries eat very little food that contains vitamin D, said Dr. Ahmed Madar, a University of Oslo researcher who co-authored the study published in the British Journal of Nutrition. In addition, most of the women in his study wore traditional clothing. About half of them covered their whole body, including their legs, hands and face while outside their homes. "These people usually … when there is sunshine, they don't go out and expose their skin to the sunlight," Madar said. 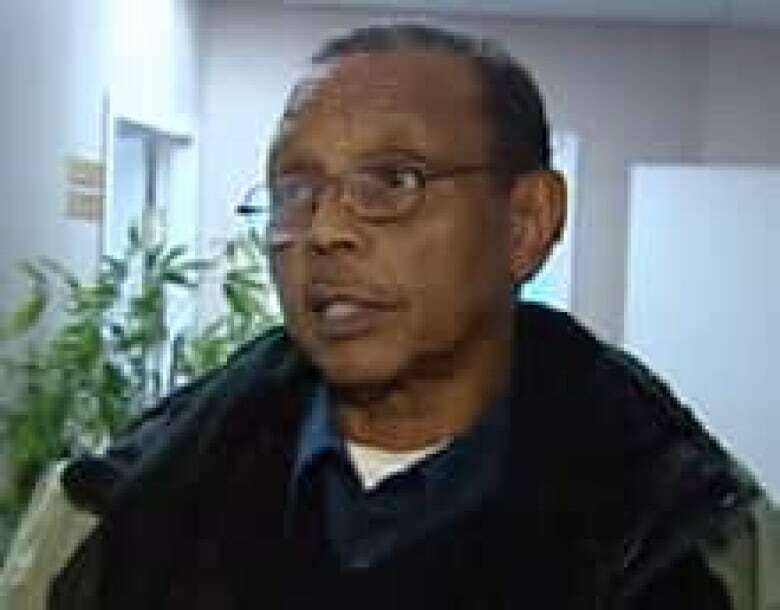 Abdirizak Karod, director of the Somali Centre for Family Services in Ottawa, said immigrants from Somalia are used to a climate that has 12 months of warmth and sunshine. "People go every day outside for at least a couple of hours," Karod said. Once they move to Canada, they are reluctant to brave harsh, snowy weather during the winter months. Ahmed Mohamoud, who is originally from Somalia, now lives in Ottawa and was recently diagnosed with low blood levels of vitamin D. He also has arthritis and bone density problems. But he did not seem ready to spend more time outside. "It's too cold," he said. "I like to walk only inside the malls." In fact, in much of Canada, it's difficult for anyone to make enough vitamin D through exposure to sunlight in the winter, when days are short and the sun is low in the sky, Vieth said. "If your shadow is longer than your height," he added, "it's not even worth being outside naked on a sunny day." Despite all the factors that put some immigrant groups at risk of vitamin D deficiency, many Canadian doctors don't take their unique needs into account, said Pottie, who is co-director of the immigrant health program at the Elisabeth Bruyère Research Institute in Ottawa. Dr. Kevin Pottie recommends that all people over 50 take vitamin D and that younger people take the supplement if they have darker skin or don't spend much time outside. Language is one significant barrier to keeping immigrants informed about the importance of vitamin D.
"These groups of people, unfortunately … they may be the last ones to get the information," Pottie said. He recommended that everyone over 50 take a vitamin D supplement — "particularly people with darker skin who are not getting sun exposure." Younger people with darker skin or those who don't spend much time in the sun should also take 1,000 IU every day all year long, as the Canadian Cancer Society recommends, Pottie said. For the average Canadian, Health Canada lists 400 IU per day as an adequate intake for people 51 to 70 and 600 IU per day as an adequate intake for those over 70. Mohamoud has been taking 1,000 IU of vitamin D a day for about a month and a half and found he is sleeping much better than he did before, although he's not sure whether that's because of the vitamin supplements. Recently, following a blood test, his doctor told him to double his daily dose. He said he is going to talk to his doctor about whether his family should also take the supplements. Vieth said when deciding whether to take supplements, people should think about the risks and benefits. In the case of vitamin D, he said, "I see no risk, no downside, there's only a potential benefit." However, Health Canada warns against taking more than 2,000 IU a day, as an overdose can cause kidney stones and damage the heart, lungs and blood vessels. Pottie said vitamin D deficiency among immigrant groups highlights a very preventable kind of injustice based on skin colour within the medical system. "It's [a] really easy-to-treat or easy-to-correct health inequity, something we can actually do something about," he added. "It's really important that people start to talk about this within different communities." 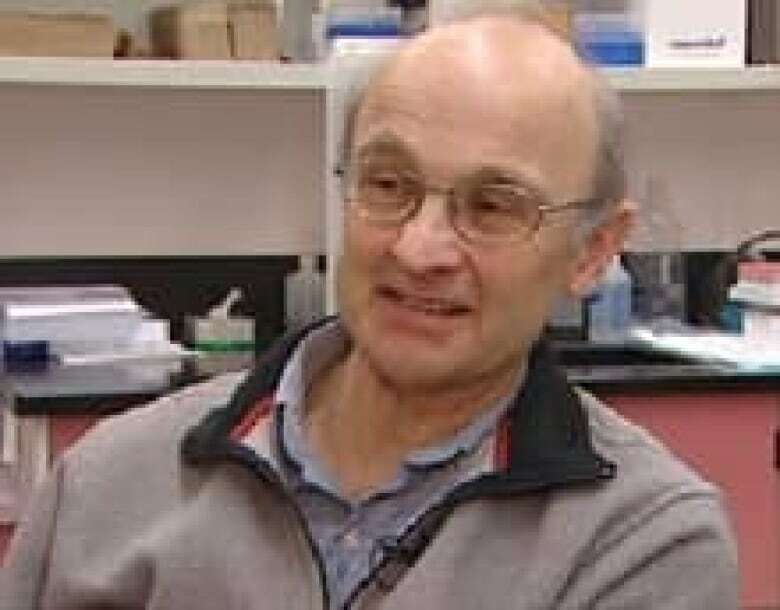 Reinhold Vieth co-authored a study of 107 healthy University of Toronto students in the wintertime that found more than a third of those of South Asian descent had a vitamin D deficiency — that is, a level so low (less than 25 nanomoles per litre) that it is associated with problems absorbing calcium, severe parathyroid problems and other health issues. About 26.9 per cent of students of East Asian descent and only 6.2 per cent of students of European descent had a similar deficiency. The study, published in the journal BioMed Central Public Health in 2008, found many of the other students had vitamin D insufficiency. That means their levels of vitamin D were between 25 and 75 nanomoles per litre — not low enough to be associated with serious diseases like rickets but low enough to result in negative health effects. There weren't enough students of African descent in the study to get statistically significant results.